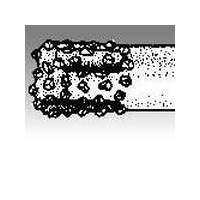 To view some "How To" videos on drilling holes in stone watch this video on our YouTube channel. 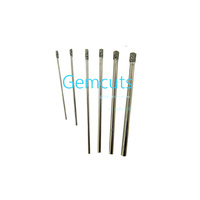 Diamond drills are used in a rotary tool such as a Dremel or can be used in a drill press for making small holes through stones.The holes can be used for hanging the stone by a cord, leather or jewellery finding. 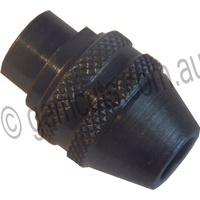 It is always recommended to use a coolant (usually water) when working with these drill bits. 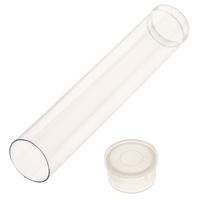 This will help increase the life of the product and offer you a better value. It is also recommended that you wear eye protection such as safety glasses. 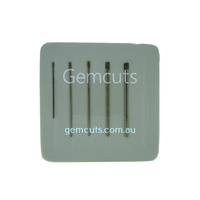 Do not force the drill bit, let the diamond do the cutting and drill at a slow to moderate speed. 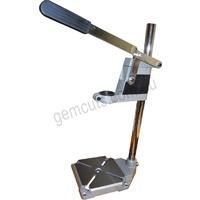 If you drill too fast all you will do is rip off the diamond plating. 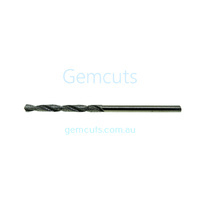 Frequently take the drill bit out of the hole you are drilling and flush with water to remove the debris. Resharpen occasionally using an old carborundum wheel or one of our aluminium oxide wheels. 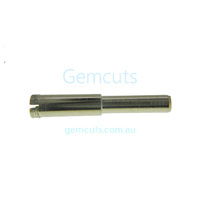 We stock three types of diamond drills. 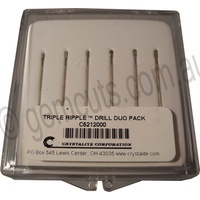 "Triple Ripple" drills from Crystalite USA All types of drills will make a clean hole through stone. However the Triple Ripple drills are the hardest wearing. The have twice the life and cutting rate of standard diamond drills. 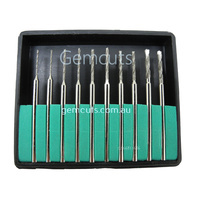 This music wire diamond drill has three flutes to allow cuttings to flush away and decreases frontal contact and drag. 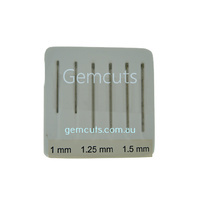 As the edges wear, fresh diamond in the flutes maintains the cutting action. Recommended RPM - 5,000 to 20,000.